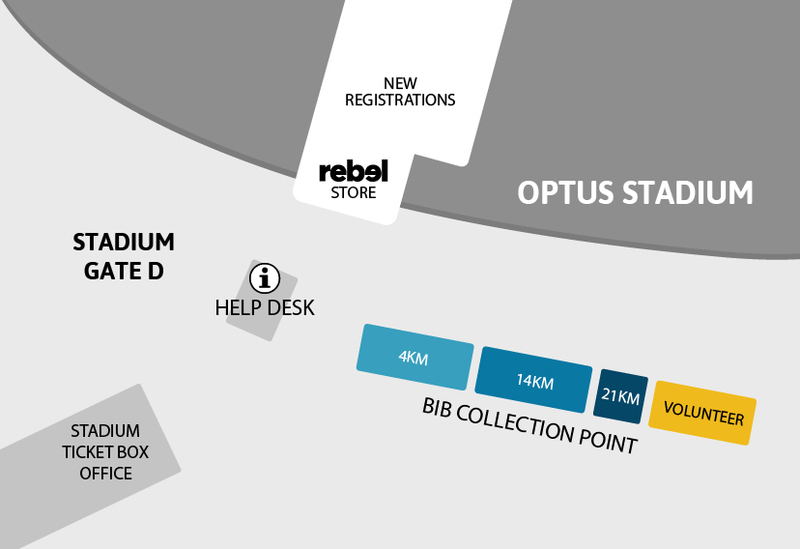 Rebel Store, outside Gate D at Optus Stadium. For the participants that have chosen and paid to have their race bibs delivered via post, they are being posted via mail on Wednesday 12th Sept. Postal delivery of race bibs is now closed. If you did not have the opportunity to use the postal delivery service you'll need to pick your race bib up in person. Bib Collection is Friday 5th October and Saturday 6th October. THERE IS NO BIB COLLECTION ON RACE DAY.